This entry was posted on Thursday, March 21st, 2019 at 10:58 pm	and is filed under Uncut. You can follow any responses to this entry through the RSS 2.0 feed.You can skip to the end and leave a response. Pinging is currently not allowed. I have been told straight by a Corbyn-supporting MP that I know vaguely, during Thursday, that Corbyn and the hierarchy will NOT support a revokation of Article 50, are quite open about that privately and that is common knowledge amongst the PLP hence why it’s not on the agenda. We could have the first proper Labour government since 1945 in power in the UK within a few weeks. We’d be mad to go back to just being Tory-lite now. Voters don’t want more Blair-style attacks on the poor and disabled. They don’t want any more anti-immigrant dog-whistling. Nor do they want any more NHS sell-offs. So, let’s all get behind our leader and boot the Tories out! You are right Dave D – they want a hate filled anti semitic rabble with a liar for a leader and no credible position on Brexit. Yawn….. Another load of tiresome embittered bile by merchant. Backed up by the usual idiots. Corbyn and McDonnell have saved the labour party from the abyss it was heading under NL. Membership halved ,Scotland lost , millions of votes lost , none of it Corbyns fault . Well done Dave D .
The Tories are undoubtedly in a greater mess – it is hard to see how they will get back as a party after Brexit. Teresa May seems to have lost control. Regarding Corbyn, it is more his lack of leadership skills which is most telling. He has improved at PMQs but walking out of an important meeting is a juvenile act – the quality is just not there. Keir Starmer is undoubtably driving Labour’s position on Brexit – he certainly has leadership ability. Labour did produce a good manifesto but I doubt if Corbyn was the brains behind it. Tom Watson also seems to be demonstrating good leadership. Time, I think, for both leaders to step down. Another load of embittered bile from Merchant , a really tiresome bore these days. No arguments no policies just , no nothing . Find it hilarious Watson previously known for his blue labour, dislike of guardian momentum readers and Blairites,is now, their favourite person,all be it, his second Ref view even though he’s never said remain on the ballot paper, when Watson was fighting Flint for deputy, and flint and Watson in the end United in their dislike, of Stella Creasy, middle class victim politics, of leading the oppressed to the promise land, Flint not being deputy can now say she supports Brexit, if Watson hasn’t win the deputy, he’d be saying get on with Brexit too. Have you still not left the party Rob? Haven’t you grasped the fact that we prefer our party to your party? The big e-petition is very very interesting. You can pull the sigantures broken down by Constituency – and that is very very revealing indeed. IIt shows the higher the Remain vote in the referendum, then the higher the signature tiotal on the petition. For example Bristol, Brighton Corbyn’s seat etc which are heavily Remain in 2016, are showing near 30% of the eletoral register on the petition. Conversely, seats that voted heavily leave are only showing around 1% of their voters on the petition. Tellingly, the Labour Leave seats arhave a very very low signature total on the petition. “In particular, Labour Leavers have swung behind ‘no deal. We’ll need more polling but as we see with the petition there is a massive ‘vote stacking’ problem for LAB.” is how one analyst describes it. Arch-Remain are mostly in very safe LAB seats (or Green, LDEM and to a lesser extent SNP). Look at the marginal LAB seats and perhaps consider that a lot of folks have “Brexit fatigue” and just want to get on with it, not drag this out through another ref or years of ongoing EU negotiations. CON are never going to win Islington North, Bristol West, Brighton Pavillion, etc but they could easily win Dudley North, retake Peterborough and hold on to seats like Banff and Buchan. Sure they’ll lose Richmond Park but look at how few of the “red” seats in the petition map are CON marginals. NB If you access to someone with decent web skills you can pull the data from “behind” the map and sort it by party, etc. Even put it into a GE seat predictor is you have one so you can see the “marginal seats” by party. And it is not looking good for Labour. Far far too many votes in seats they already hold, not ‘in step’ with the voters in seats they need to win. I wondered what Labour response to the Peoples Vote March would be. From the stuff I looked at its a Tsunami of bile, directed mostly at the TWEE slogans & the good humour. There were unfavourable comparisons to the Real protesters of the Yellow Jackets in Paris. Screaming with Rage, throwing rocks at the Police & setting fire to public property – that’s Real Protest. Now that Labour have degenerated into an SWP Tribute Band, just why are any of you staying in it ? John, May be this one is more to your taste? could this be the way forward for Breggsit on Monday? Hardie, would be expelled from todays Labour Party as an anti-Semite. I had a working class upbringing on a council estate. My Dad was a welder. I really don’t know where you got the idea that I had some sort of privileged background! You can now add “betrayed the will of the people” to the ever growing list of failings for this Labour party. I will need reminding what the party stands for and represents again. Besides which, Labour is not “hanging by a thread”, they are ahead in the polls! Ok Mr.Reid, sticks & stones etc. 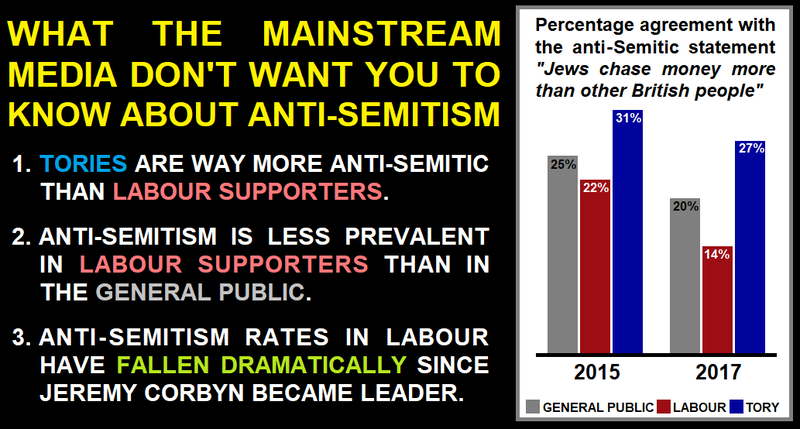 But you cannot deny the facts; there is far less antisemitism in the Labour party than is alleged by the Right wing, and by those who seek to damage Jeremy Corbyn, and far less than in the Conservative party or in society in general. If you dislike Labour has much as you seem to do then perhaps you should consider joining the Tories or UKIP or TIG. If Socialism’s not for you then be gone. Whilst the UK is happily self harming over breggsit. The republic of Ireland would appear to be pursuing their own form of economic self-harm, which of course our free & outward looking press, have totally ignored thus far. simply put it is a polite term for state sanctioned BDS. It has cleared both chambers now, & is not far off from becoming law. naturally, the blow back will be that the ROI will be charged as being an anti-Semitic state. but it will force the issue four-square into the international stage. the irish know that many of these US companies will potentially relocate, but they seem to think that is a price worth paying. interestingly the co-op supports this stance, funny they arent called out as anti-Semitic for their BDS. Expect the smear campaign against Corbyn to be ramped up as we get closer to a General Election and the Rightwing start running scared. Your vile antisemitism lies are all you have to cling to, which is both disgraceful and pathetic. And the naivety of those who think a centrist party could or would do anything about homelessness when they think they can somehow get the market to work…. Yet you’re telling me to leave the party? The Wakefield Express is reporting that a petition locally to have Yvette Cooper deselected has now reached 22,900 signatures. Her Constituency voted 70% to leave. She is under increasing pressure from within her CLP from Momentum activists who want shot of her for being a Blairite, and Labour Leave who want shot of her for trying to spike Brexit. Her voters now also appear to be turning on her. What would happen at a General Election? Labour would be 8 short of the winning line and their nearest potential political ally (Plaid) now openly despise them. Mike was their homeless on the streets under Blair’s time? Mr. Reid, I did not and am not saying that Socialism involves antisemitism! I really don’t know wtf you are talking about. I was pointing out that the allegations of antisemitism are in the main false accusations made by the Rightwing in an obviously deliberate attempt to undermine Jeremy Corbyn, when the truth is that antisemitism within the Labour party has declined under Corbyn, and there is actually more antisemitism in the Conservative party and in the general public than in the Labour party. As for Labour being in decline or hanging by a thread, that is total nonsense, Labour are way ahead in the polls and their popularity has increased under Corbyn. As I was saying in my last post above. Two council by-elections in Wales last night. Previously safe Labour seats. Both taken easily by Plaid Cymru on massive swings with the Labour vote collapsing. Tory vote, although only marginal, held up. It’s the shape of things to come for both Labour and the Tories. Latest in-depth polling shows that although Labour lead, their vote is in entirely the wrong places and once adjusted by region in a general election labour would be wiped out in Scotland, suffer losses in England and Wales and that even though behind, the Tories (due to better geograohic distribution) would be largest party on around 280 seats and Labour on around 260 leading to a highly unstable and chaotic Parliament. Fantastic analysis, Rob. Well done! I believe your communication talent would be best deployed in the service of Chuka’s Independent group. How about it? I see that the Tigs are standing in the EU elections on a 2nd Referendum ticket. They are to be congratulated for this. After all, if the electorate get it wrong we have to keep asking them the same question until they get it right. Furthermore, if the Indies win EU seats there’s sure to be gravy train opportunities aplenty for Tig ‘communication consultants’ in Brussels. What’s not to like, Rob?